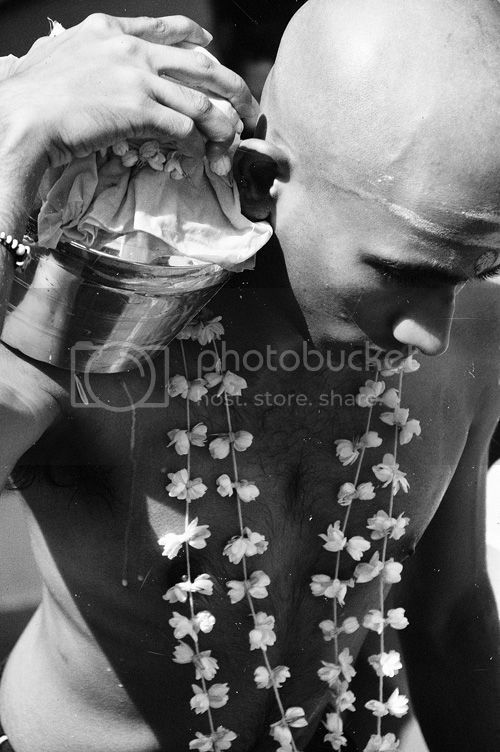 Thaipusam is the most spectacular celebration of the Hindu festival in Malaysia. More than 1.7 million local and foreign visitors are expected to celebrate the annual festival at Batu Caves Temple on Sunday, Jan 27th, 2013. 1.7 million peeps? Are you serious? A sea of people will be flooding the place! I am a person who is terrified of crowd - an agoraphobia. I would ask myself repeatedly whether I can survive in these chaotic situations. It does worry me a bit, but I finally managed to discard all the negativity of fear and thoughts. 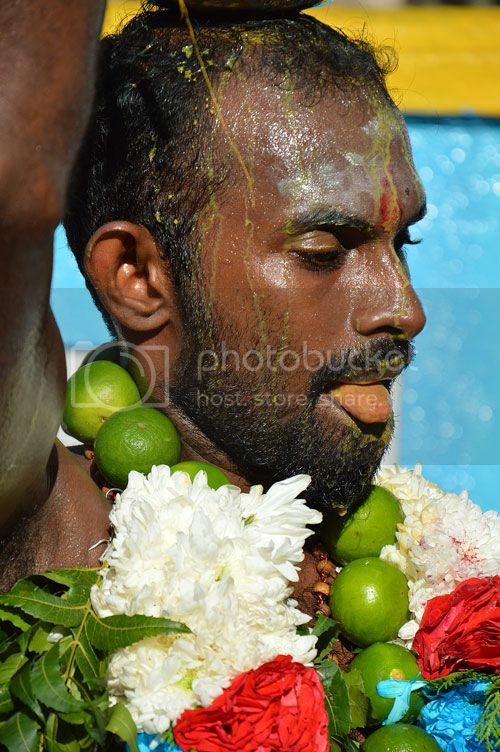 I wanted to see for myself the grandiose affair of Thaipusam 2013 in Batu Caves, Malaysia. I woke up at 4:45 a.m., boarded the earliest possible KTM Commuter train to Batu Caves limestone temple. Call me a kiasu (驚輸 AKA fear of losing)...but I was really excited and looking forward to the festival. In conjunction with Thaipusam 2013 celebrations, KTM Commuter services for all lines will operate 24 hours service from 25 January 2013 to Monday 28 January 2013. Check out the commuter train schedule HERE. 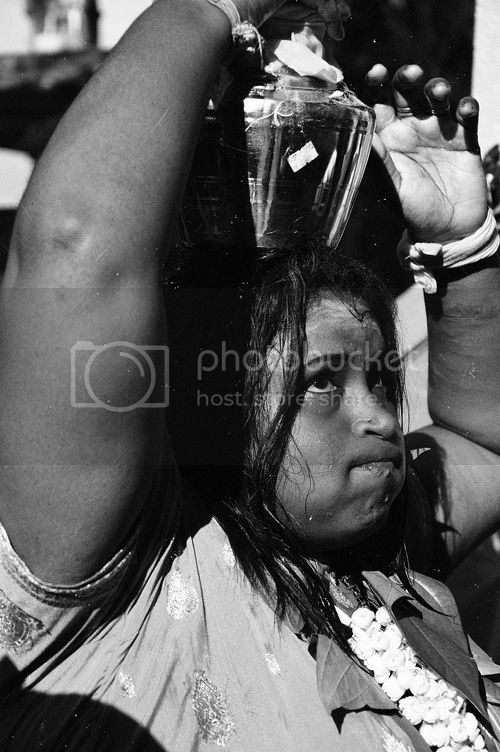 Thaipusam or Thaipoosam (Tamil: தைப்பூசம்) is a Hindu festival celebrated mostly by the Tamil community on the full moon in the Tamil month of Thai (January/February). It is observed in India, Malaysia, Mauritius, Singapore, Thailand and Myanmar. An annual celebration in honor of the Hindu God Lord Murugan. In order to win favor with the God and ensure their good fortune, devotees take elaborate sacrificial measures, ranging from offerings pots of milk, to impaling themselves with long metal skewers and carrying giant metal constructions (AKA Kavadi Attam, Tamil:காவடி ஆட்டம் ) up the 272 stairs into Batu Caves. It was one of the BEST experiences in my life - the deafening drum beating, the kavadi bearers that are lulled into a trance-like state by the beats, the colours, and of course the amazing food. 7 hours in Batu Caves today....the longest time I've spent for street photography. 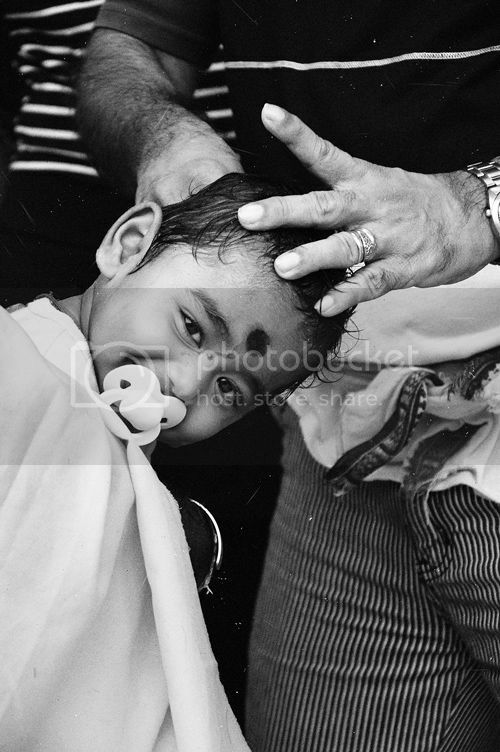 About: Head shaving are among the important Thaipusam festival rituals in Malaysia. Clean-shaven heads is a symbol of humility and atonement. Later the kiddo's shaven head will be smeared with sandalwood paste. About: Believe it or not...The Batu Caves Temple Committee is expecting a sea of people, a WHOOPING 1.7 million peeps! Despite the massive crowd, everything seems to be nicely organized - from security, crowd control and of course free flow refreshments throughout the day. About: By midday, it was scorching hot here in Batu Caves. You need to climb the 272 steps that leads up to the temple. That kiddo in the picture was almost reluctant to complete the last few remaining steps - he preferred to crawl. But father grabbed his right arm and persuaded him to carry on. About: When I arrived at Batu Caves, I discovered that most devotees of Lord Murugan wore yellow or orange color. Orange is also a colour of renunciation, and is worn by those whose pilgrimage is a temporary path of asceticism. 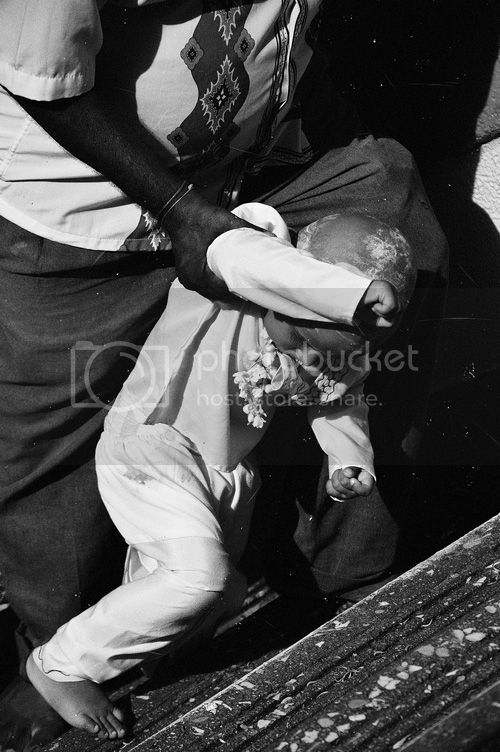 In this picture, a young kiddo was carried to the top of the temple. 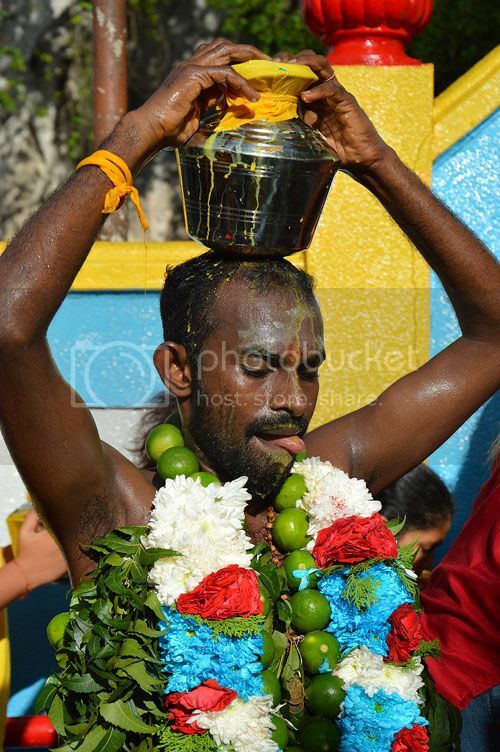 About: Often Hindu devotees carry brass jug of milk on their heads as a show of devotion and love to the God Lord Murugan – this is called a Pal Kavadi. About: Kavadi literally means burden. The burden however can take many forms. 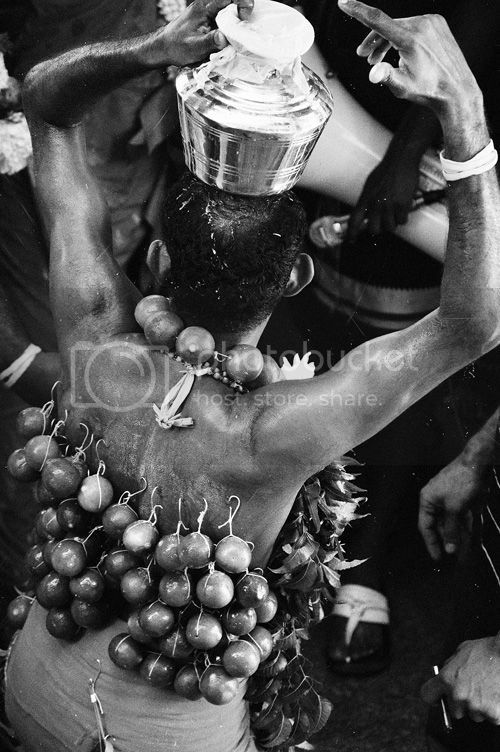 A kavadi can be something as simple as pot of milk carried on the head to be given as an offering to Lord Murugan - Hindu God of War and Victory. 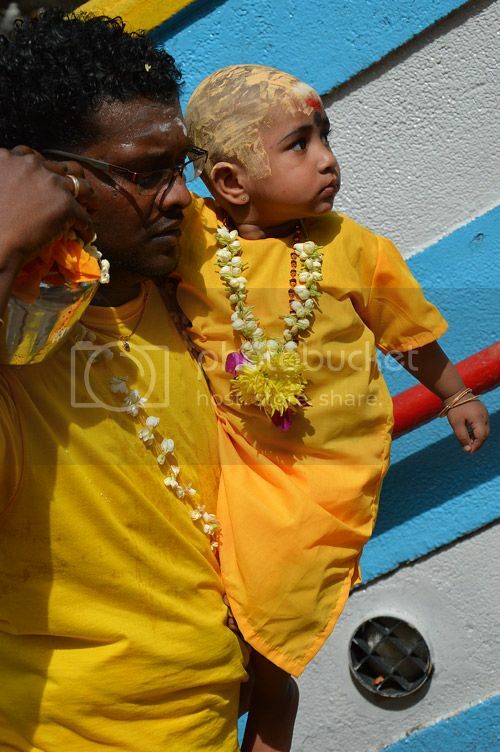 About: Hindu devotees show their gratitude to Lord Murugan for having fulfilled their wish by walking barefooted to Batu Caves, shaving their heads or carrying the milk pots and climbing up the 272 stairs to the Śrī Subramaniyar Swami temple. About: The kilometers of walk kavadi-bearers endure takes no less than five hours to complete, and by the time they reach Batu Caves temple, the mix of pain and exhaustion pushes most of them into a trance. About: An up close and personal shot. About: A single green lime may not weigh much, but when the metal hooks are connected to more than 50 limes down a devotee’s back, the feat involved an amazing wealth of devotion and tolerance! About: Two kavadi bearers seem to be 'battling' one another in a trance-like moves. 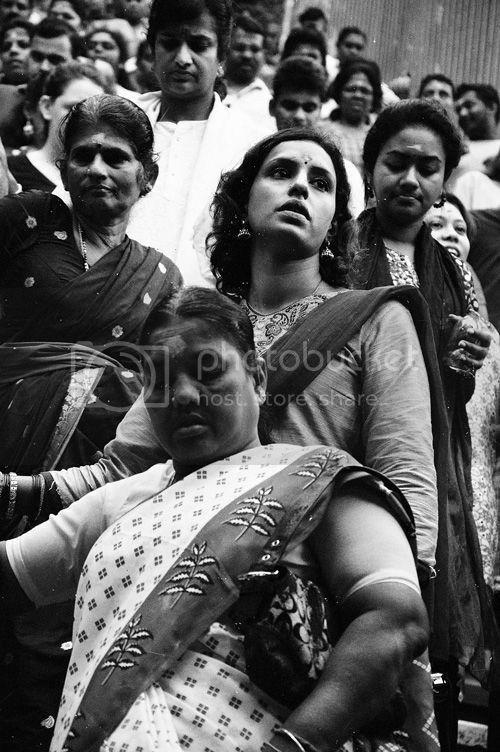 They are guided by the drum beats at the head of the procession, oblivious to everything except the next step. 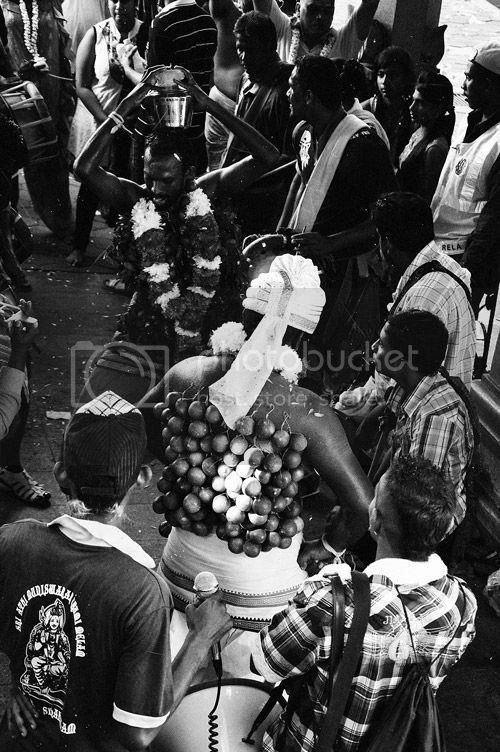 The musical troupe urumee melam (Tamil: உறுமி மேள) plays an important element in the Thaipusam festival as it gives the kavadi bearers the energy derived from the musical beats. The kavadi bearers are lulled into a trance-like state by the beats. 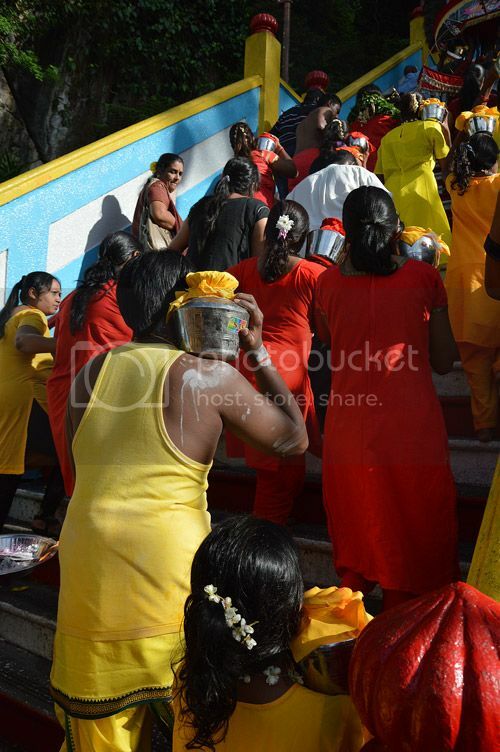 About: Crowd climbing steps to shrines in Batu Caves for the Thaipusam festival. 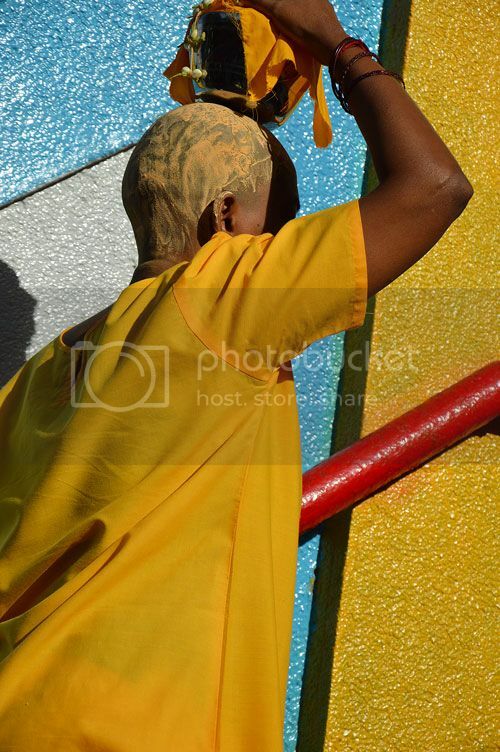 Excellent photojournalism. Really impressed with your pictures. 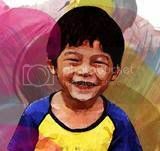 It is always so pleasant to me finding blogs where I can enjoy portraits from different cultures. The photos of this post are really amazing. Thank you so much for sharing! I agree with Sayacivale, your photos are truly amazing! With your camera you have captured the emotions of the festival. Thank you also for your written comments. Through your wonderful photography, I feel as though I am also there. Good blog. You should update more frequent.